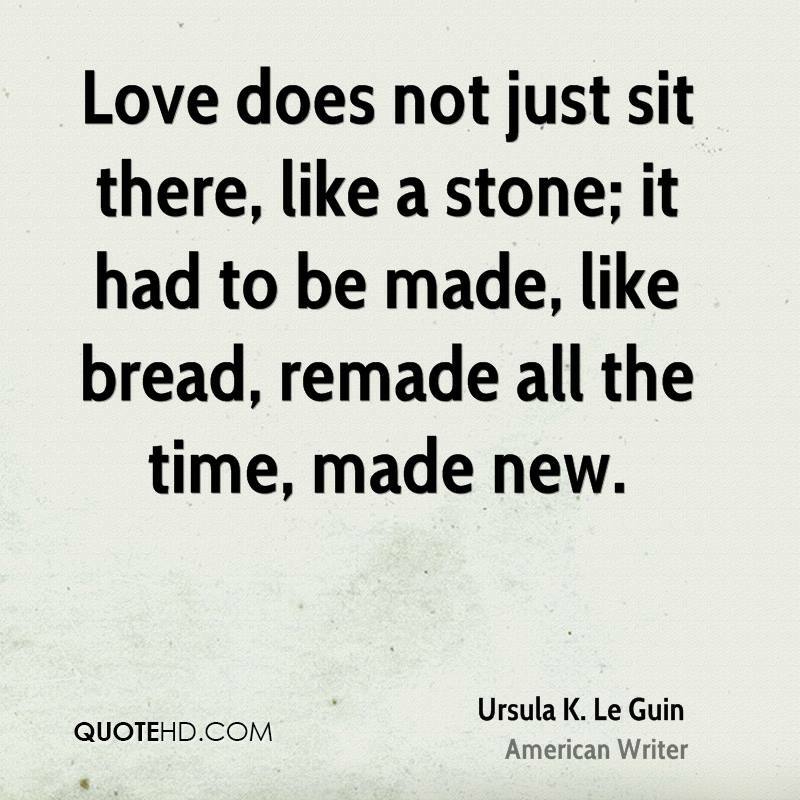 Author Ursula LeGuin died this week at age 88. Her books greatly influenced the young me. Here is my tribute. In the 1960s, a writer named Ursula LeGuin stepped into the realm of fantasy and science fiction. It was squarely dominated by men at the time; for many years, she was one of the only major female authors. On the shelf of fantasy, Lord of the Rings and Narnia were the two major bookends. Both are terrific sagas, which have earned their places as pillars of humanity’s modern mythology, yet LeGuin ached for something that was more meaningful. Lord of the Rings is a great series and I’m a fan. But it is fantasy fiction for geeky guys. There is hardly a single female character in the trilogy. The real life issues it addresses are some obvious ones: good vs. evil, friendships, teamwork, and believing in one’s self. Those all are important, but the end result is an epic journey that is not relevant for everyone. Even as a young adult (whenever I first read it), C.S. Lewis’ Narnia series smacked of a Christian parable. It’s a great series as well and contains a diverse array of mythical beasts and some various human children who handle partly heroic and partly spectator duties. However, hindsight from the modern world show us that Narnia’s gender roles and its attitudes toward different races belong much more in the 1950s than today. What if someone could tell stories without those limitations? If you've ever read or watched Game of Thrones, you'll know just what that looks like. Author George R.R. Martin credits Ursula LeGuin as one of his biggest influences and their stories have many similarities. Much of today's science fiction and fantasy both have major elements that began with LeGuin. She brought in real life issues and struggles that no one had seen before in these genres. And she encouraged other authors to set their imaginations completely free. LeGuin recognized that fantasy and science fiction offered basically limitless possibilities for imaginative writers. Why should fantasy be confined to the world of medieval Europe, which so many authors adopt as their stage? Why should heroes in our worlds of imagination be limited to those who are white and male? Her books blasted through the stereotypes and helped open up these genres. They introduced real life issues, from environmental problems to child abuse to political governance, that had never been seen before in such a setting. For example, one of her first science fiction works, The Left Hand of Darkness, won major awards by exploring a world inhabited by androgynous beings. She wrote it to experiment with a world where gender was taken out of the equation; what would it look like when a king gives birth? Game of Thrones author George Martin called it "one of the best science fiction novels ever written." In others, she introduced strong female lead characters and placed people from different ethnic groups on the same footing, which have become staples of modern science fiction. In the decades since, many other writers and moviemakers took up her lead and used their imaginations to create better worlds, different worlds, and worlds where humanity has solved some problems and discovered others. She was one of the first to put intelligent, real world themes in sci fi and fantasy fiction. With her Earthsea trilogy (to which she later added more books and short stories), LeGuin set out to write a fantasy series for everyone. 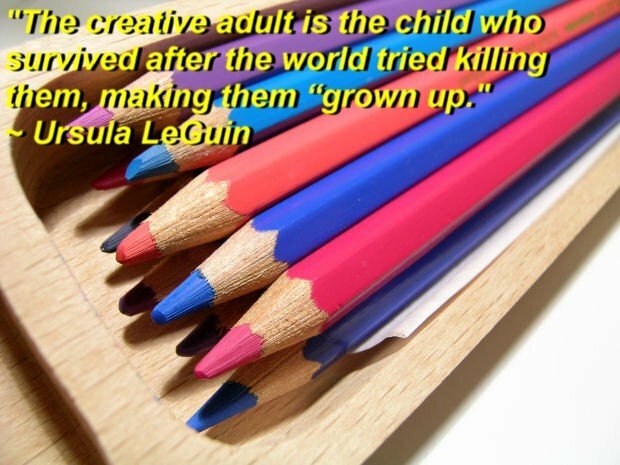 What she created was not just a set of stories for young adults. It was literature. Considering when they were written (mostly in the 1960s and 1970s), LeGuin’s books showed a high comfort levels with different cultures and influences. She must have been influenced heavily by her upbringing, since both of her parents were anthropologists. Her father, Alfred Kroeber, taught anthropology at the University of California, Berkeley, and was considered a pioneer in documenting the cultures and languages of Native American tribes, while also conducting archaeology projects in Peru. Her mother, who also earned an advanced degree in psychology and studied graduate level anthropology, wrote several noted works about Native American tribes and their legends. In Ursula LeGuin’s books, she did not avoid the classic European Middle Ages backdrop that provides the widespread bag of tools for fantasy authors such as J.R.R. Tolkien. Her stories contained elements of that, but she introduced additional layers. Among them, you can see a grounding in indigenous cultures along with the Native American respect for the spirits of all living things. In her Hainish Cycle science fiction series, there are groups that strongly resemble Native American tribes. And most obviously, her Always Coming Home book drew heavily from works by both of her parents to create a fictional people in a post-apocalyptic world that might resemble a Native American tribe of the past. The Earthsea books stand as her crowning achievement. The first three books, A Wizard of Earthsea, The Tombs of Atuan, and The Farthest Shore, tell three complementary stories that are vivid with symbolism. There is a hero or heroine for everyone in one of these stories, especially for older children or young adults who are struggling to define an identity and find a place in the world. 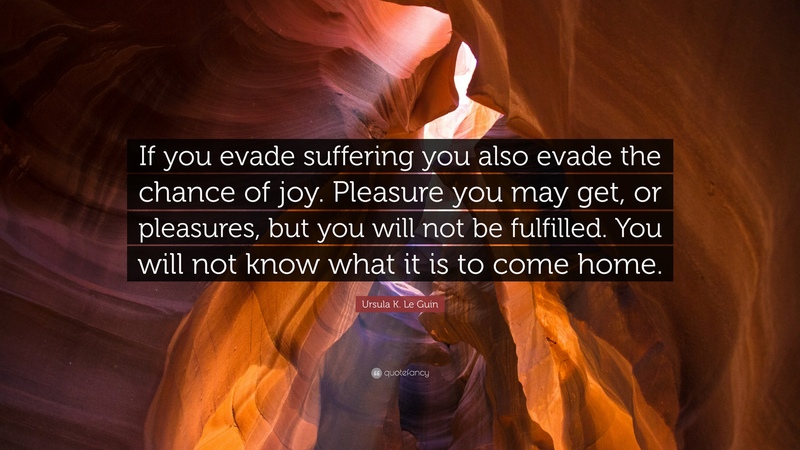 LeGuin’s Taoist beliefs are evident throughout (she also wrote a book about the Tao Te Ching). 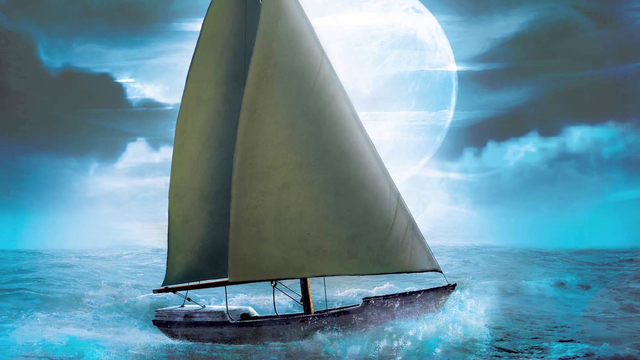 At the heart of the Earthsea world is balance and it is held in place by magic. Each player has a counterpart, each action has a consequence, and mirror images figure prominently. Ursula LeGuin was a popular author and she had a wide following that spanned generations. However, she never had the grand cultural tribute she deserved having her signature series made into movies. She granted rights to her work to both the SyFy channel (for a mini series) and to Studio Ghibli (for an anime version). Both came out very differently and bore little resemblance to the Earthsea books, which disappointed her deeply. BBC Radio created a stylish radio production. In truth, I think it would be much harder to make a good movie of these stories than it was for Lord of the Rings, Harry Potter, and other book series. Nevertheless, I hope a talented filmmaker takes on that challenge someday. LeGuin did not live to see it happen, but it would be a tremendous benefit to society to have these stories accessible in another form. Game of Thrones author George R.R. Martin has spared no praise. 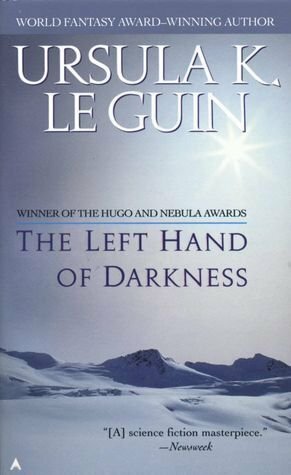 He listed LeGuin’s Earthsea books as among his greatest influences “without whom A Song of Ice and Fire would never have been written.” Dragons in the human realm, abused girls finding their way, and young people forced to take on the burdens of responsibility at an early age: sound familiar? 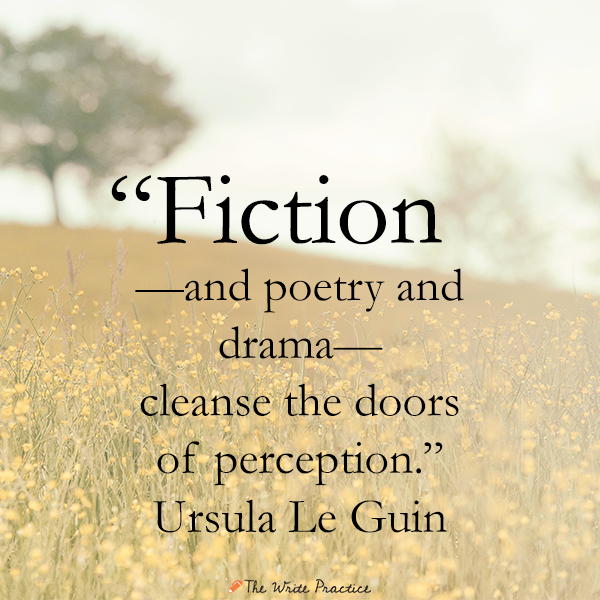 These themes are prevalent in both LeGuin’s and Martin’s work. Novelist Terry Pratchett identified Ursula LeGuin as “one of the architects of the consensus fantasy universe.” Handmaid’s Tale author Margaret Atwood described her as “one of the classic Twentieth Century writers.” There was a school of wizardry in Earthsea long before J.K. Rowling conceived of Harry Potter’s Hogwarts. In 2016, the Library of America organization announced that it would publish a volume of Ursula LeGuin’s collected works, an honor which was almost unprecedented for a living author (since this organization is a steward of major works from the titans of American literature, including William Faulkner, Louisa May Alcott, Nathaniel Hawthorne). As a young adult, the Earthsea trilogy was one of the first sets of books that drew me in. 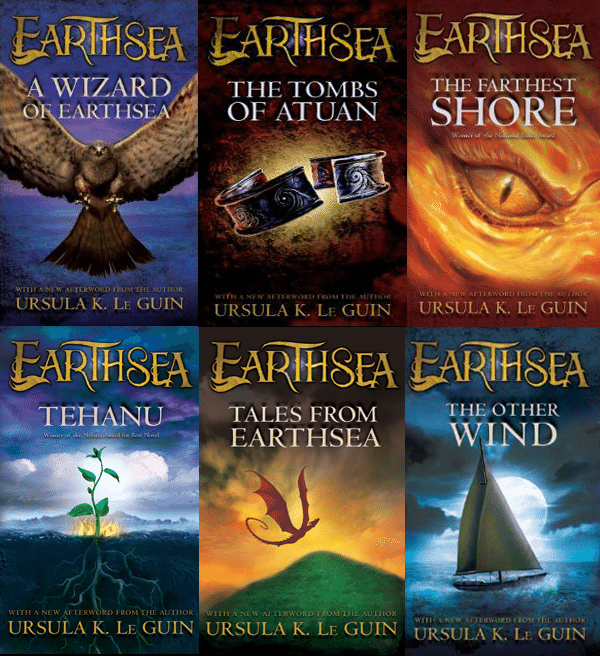 In the years since, I have returned several times to the Earthsea books and their rich mythology (which now includes several more books and short stories that LeGuin has added to them over the years). Their symbolism, their struggles, and their lessons are as relevant today as ever. Top photo credit: Artwork for Earthsea from Simon & Schuster. SHe was an amazing author! Agreed. She was a blessed lady. Wow. Awesome tribute. This is great. I really loved her and still do. My favourite book with Le Guin’s name on it is her translation of the Tao Te Ching. It don’t take to new things easily, so when i first read her translation is rubbed me wrong, it wasn’t what I was used to, what I expected. But I kept coming back to it, and eventually became my favorite translation.Another favourite book by her is the Dispossessed. This is kind of a cop out answer because I’ve only read two books she authored, The Dispossessed and Left Hand of Darkness (which I had to return to the library before finishing so…). And frankly, I really don’t like Genly Ai (which has a lot to do with why I didn’t finish the book before the due date. I w as fascinated by what seemed like some parallels between the beliefs of the Foretellers and the Tao, so I’ll probably go back and finish it one day. The Dispossessed is very good also. Yes, there are unlikable characters in some of her books, I agree. But groundbreaking and thought provoking they are, all of them. I never understood, until I was older, how much Taoism influenced her. The balance and the way were there in almost every book and in her words whenever she spoke. Hmmmm. Taosim influences my life a lot even though I don't consider myself to practice it. Both of my best friends took up meditation at different times of their lives and they lead, though separately, lives of tranquility and quiet observation. Now I'm seeing signs of it everywhere, and every time I find a moment of crisis, I settle down and remember their teachings. One of them also admires Buddha a lot and, funnily as it sounds, while I lead a life of pleasure-seeking, any time I'm alone and in a time-out, I imagine I've reached Nirvana and watch myself from above. I think this is also one of the pleasures of a writer, imagining yourself as a character and examining your own essence. Then Tommy the tiny Steemian said "Stop sucking up to life and death. They only have power because you give it to them!" I love that she continues to interrogate fiction and society. That she is unafraid to admit error. That she doesn’t see it as a weakness but as a way to grow. I love her power. I find myself unable to speak of her in the past tense. Today, I have been told that she is dead. There is a low wall between us, but not enough, I think to keep her from shaping my life or yours. What a wonderful comment. No boundaries. Thank you! please refrain from further use of this comment, because I find it disguisting. With the book of women dream dragons, we have realized how wonderful it is to find a lot of clues about herself, her books and world view, and dreaming. Science fiction / The greatest female writer of fantasy literature. Science fiction / Fantastic is a philosophical novel about life behind the scenes at the same time. in the terrestrial trinity (in fact a total of 4 books). Theanu = The Resurrection, symbolizes. The laughing diary and the left hand of the darkness are less well-known books that must be taken into consideration. 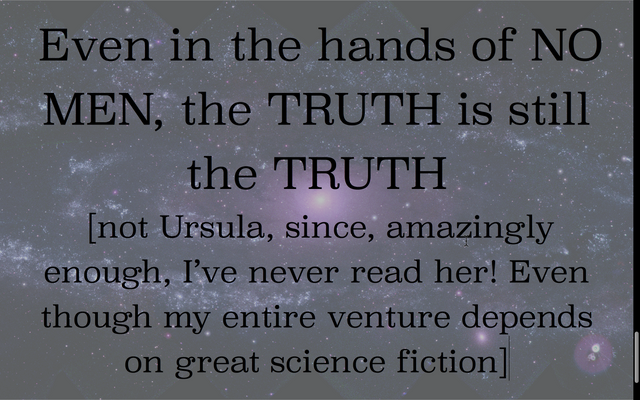 Some people can not keep Ursula's science fiction writing. For them, science fiction is made up of robots and machines. Ursula's scientific sciences do not go too far in his scientific direction. It tells the people and their change. I agree with you. At the moment they are inspired by the most popular science fiction writers Ursala. Those writers are mentors. Inspirational. Eger can be sure if someone is watching a science fiction movie. There is also the effect of Ursula in that movie !!!! 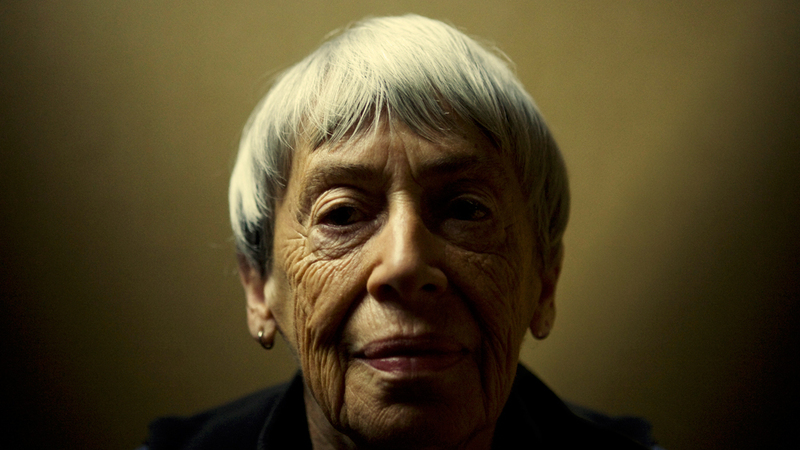 Wow, this is a great tribute @donkeypong, a well charted RIP tribute to the hero Ursula Kroeber Le Guin, a tremendous human being and storyteller who helped make fantasy a more imaginative and humane genre. Her loss is a huge loss, not only to the fiction society, but to the writing society at large. Never read her books but may her gentle soul rest in peace. I guess i'll have to look for a book of hers and no need to ask which to start from. Already got the answer. I need to get her book too, there are a lot them we just don't have any idea about. I know the one to get first. This tribute is really concise and in point. No one would read this and not see the wonderful nature of this lady. Because of what you have written, I would make sure to study more about her, probably I'll get to be influenced by her even in her death, by her works. I've been struggling with what you describe for a long-ish time in my readings. I love fantasy and science fiction. Those are my favorite genres and the ones I spend the most time reading. But after a while you get tired of reading the same thing over and over. Maybe the style is good, but it's as if it were just the rewritten wizards and dragons tale. Why should fantasy be confined to the world of medieval Europe, which so many authors adopt as their stage? I'm a writer myself and I've been trying to explore these genres. I haven't read of Ursula LeGuin, but from what you're describing, I'm going to have to pick up one of her books and give her a long read. In others, she introduced strong female lead characters and placed people from different ethnic groups on the same footing, which have become staples of modern science fiction. Maybe these things are cliché nowadays, but she did it first. Today all science fiction and fantasy movies have tokenized their cast, filling it up with the overused proportion schema of 1 black : 1 asian : 1 white : 1 hispanic and I'm leaving out the ethnic representation of native Aboriginals because they're actually not portrayed as often. However, as I said, she did it first. 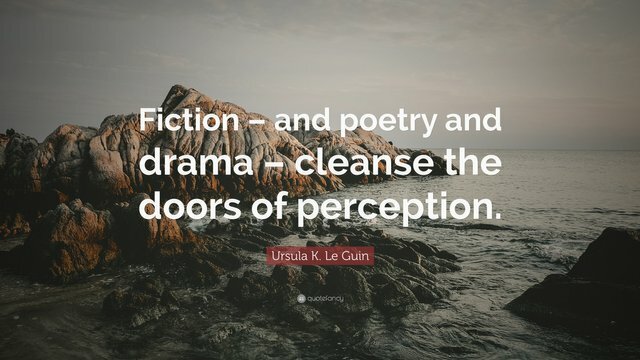 Literature as a whole gives a step forward when authors like Ursula decide to change genres for good and take from the world as they see it and not as it is depicted by the mainstream context. But it's important not to forget that what may be considered cliché is also something that might find a valid place inside your works. Maybe castles are overused. Why not put a spaceship on top of it? I'm exaggerating a little, but from what you describe about Ursula, she was a great supporter of moving forward our old pieces, not letting our genre and our style stagnate due to tradition and fidelity. Thank you for the recommendation. I was about to ask that when I read that :P I'll go pick up one of her books. Thanks for the great post, @donkeypong, and for the inspiration. It will probably affect my writing style a lot now that I've read such constructive criticism. Exactly. Always moving forward and adding things that we didn't expect to be there. The diverse casts today seem cliche and politically correct, but that's a good problem to have, and she deserves a lot of the credit for showing that everyone belongs. She one of the literary greats of the 20th century – her books are many and widely read and beloved. She had no end of good quotes, all of them intelligently cutting through the nonsense to deliver concise wisdom. It always packs a punch in to the heart when you see your favorite people pass away. I haven't really read her books, unless I don't know, because I don't remember the authors of the books I read. But I really like the sound of her novel where the beings have no gender. I'll make sure to check it out and possibly read it in the near future! It's worth the read. Thanks for your comment! I read through your tribute and i was really amazed and concurred. 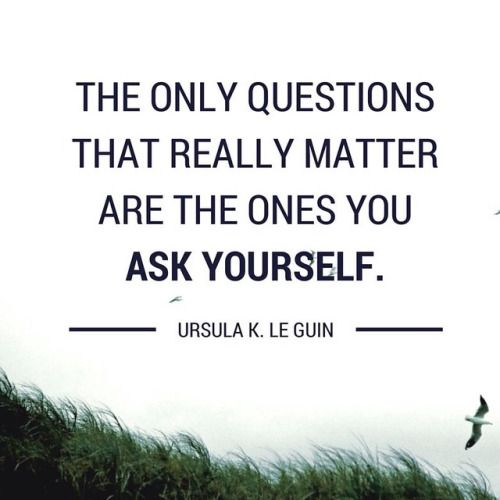 I most recently read Ursula K LeGuin’s classic novel THE DISPOSESSED, but her most potent tale remains the short story “The Ones Who Walk Away from Omelas.” Thank you for having the imagination to help us see each other truly. The greatest gift that writers give us is that their words and their worlds live on within us after their deaths. Yes, some of her short stories (that one for sure) were powerful as well. A moving piece, thank you for this. Extremely saddened to hear of the passing of Ursula K Le Guin, and on the day after I finally got around to reading The World For World is Forest. One of big, dreaming trees has fallen. She was a supporting column of the genre, on equal footing and bearing equal weight to Verne or Wells or Heinlein or Bradbury. Losing her is like losing one of the great sequoia. It's so wonderful you found it worthy to grace the steemit platform with this tribute. I enjoyed reading it. I don't know much about the lady, but I guess she influenced a lot of lives, especially yours. I hope her works continue to influence and better lives, that her name will continue to live on. I'll admit that I've neither watched nor read Game of Thrones, and I'm not the biggest fan of Lord of the Rings, but I did like Narnia. Now, after having read a few summaries of LeGuin's books I'm quite intrigued by the mixture of fantasy and science fiction. I guess I'll have to give them a try. Ursula LeGuin was brave to enter into a male dominated career, and still managing to outstand with the great works, impressive. Personally Lord of the Rings tops the list of books I've read, great literature and story. The woman that had fiction and fantasy in her work that made her tick. And involving her work across all walks of life is an inspiration. This year I've been looking to incorporate one fiction book in between all the non-fiction I read each month. Huge thank you for turning me on to Ursula. I've just picked up A Wizard of Earthsea! Time to dive into this fiction and literary genius. This is going to be GREAT! You won't be disappointed and don't stop with the first one! Thanks, for this literary love letter, @donkeypong, to a remarkable figure. 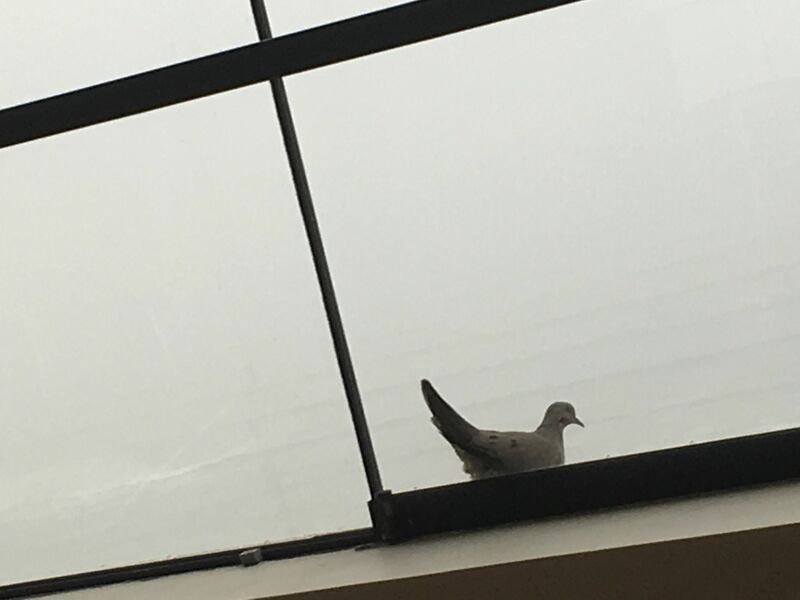 As with all influential artists, she lives on, through her work /her readers..
Just as I posted this poem, a dove landed on my windowsill! Coincidence? The Left Hand of Darkness is one of my favourite sci-fi novels. Le Guin's world building in it is exceptional in that it covers so many aspects - politics, religion, underlying mythology, anatomy, architecture, weather, as well as science - but also manages to be consistent across all these ideas, making the whole a believable construct. But more importantly she was a great story-teller. The trials of the journey across the ice are vivid, the short stories of myths dotted throughout the novel are perfect in their imperfections, as myths tend to be. And Genly's inability to understand Estraven's honour or in fact any of the polictical actions fit perfectly with his role of envoy. A wonderful novel by a wonderful author. Excellent comment. I love the term "world building" because that sums up one of her major strengths. I am ashamed of myself after this. I have heard of her and some of my friends have recommended her works, however, I have not read or even had the interest of reading her works. After reading this, I am intrigued and I guess to have to start reading. Thank you for this. Yes, a very good book. The movie adaptations never seem to do her books justice though. May her soul rest in perfect peace but I think her boundlessly work must have earned her a sense of immortality. This is the first post I've ever read on the site, and what an introduction. You've inspired me to finally read "Always Coming Home." Her short story "The Ones Who Walk Away From Omelas" is a (as far as I saw in this discussion) unmentioned, and is one of my favorite short stories of all time. Thank you for this wonderful post introducing me to a new to me author. According to your article all of her Earthsea books are so good that you can't go wrong choosing any one of them to begin. the world has been abandoned by great artists. Ursula, without being told is indeed a great author. Her quotes are very philosophical. The one above is one I meditated so much on in my days of sickness. It speaks volumes and it ministered greatly to my heart. May her soul rest in perfect peace. Thanks for sharing. Indeed a legend and an icon has just passed on, the one who impacted greatly on the literary World. She is so good that even her quotes are widely read and meditated upon. This one on 'Love and relationships ' is one of my all-time favorite. I pray that her gentle soul finds perfect rest. but also in terms of what i'm writing.
" It is good to have an end to journey toward, but it is the the journey that matters in the end" - Ursula le guin. Man is Mortal.It is 100% true.But some death makes us very sad.I have read your post.She was great lady.We lost her.We lost big .We should pry for her.Thanks for your great writing about this author.I like her books. I am interested in good plots as I am in theme exploration. As much as I tried to like her books, she is 95% about theme and 5% about plot. As a result, I was bored by her work. Wow... she was really a legend. I hope some of her books can be made into a movie. I would love to watch! Wow, reading this tribute, one would know you had a personal touch from this lady.she was a woman that touched somany lives. She was a small woman who exuded immense energy in person. She was fiery. She was personification of awesomeness. She will rest in peace because she left something great, powerful and optimistic to humanity. Truly she changed the world in her own world. What a privilege to have read you, I learnt so much from her. You weren't just a literary genius: you were a person knew your own mind, and you were wickedly funny. i absolutely adore this tribute.. i've always liked lord of the rings trilogy and narnia.. i am so glad i chance upon this post because honestly it intrigued me of the works of Ursula K. Le Guin.. i am inspired to read her works and to know more about her. and even now that i still don't know any of her masterpieces i'm beginning to like her already. i think i will have a great time reading her work..
A great testimonial! The effects that LeGuin has had on me are similar in their impact on the fabric of my life, the least of which is the name of my WiFi network, Rocannon. Follow - @duchess1 for FREE resteems! Rest in peace.. Great article, thanks for that. "To break a promise is to deny the reality of the past. Therefore it is to deny the hope of a real future." Very interesting. I have to read her some books. I’m not sure I’ve ever read a book by her. Any good introductory books you’d recommend? While i've been quite the reader myself, yet those last few years have kept me away from indulging into books. Unfortunately I haven't read Ursula, and from what you shared, she definitely is now on my list for an upcoming read. Thank you for shedding light, it is indeed sad to see such inspiring people leave..
She was indeed a blessing to our world. I have not really read lord of the rings but I have always loved books made into movies. It represents how captivating the book is. I think I found another author that will be one of my favourites. Suddenly I want to try one of her books. I love when there is no limitation to the story. May her gentle soul repose in the bosom of the lord. If you don't know where to start with this amazing women, start with "The Dispossessed". She is definitely one of the greats and a role model. She will be missed by the literary world. 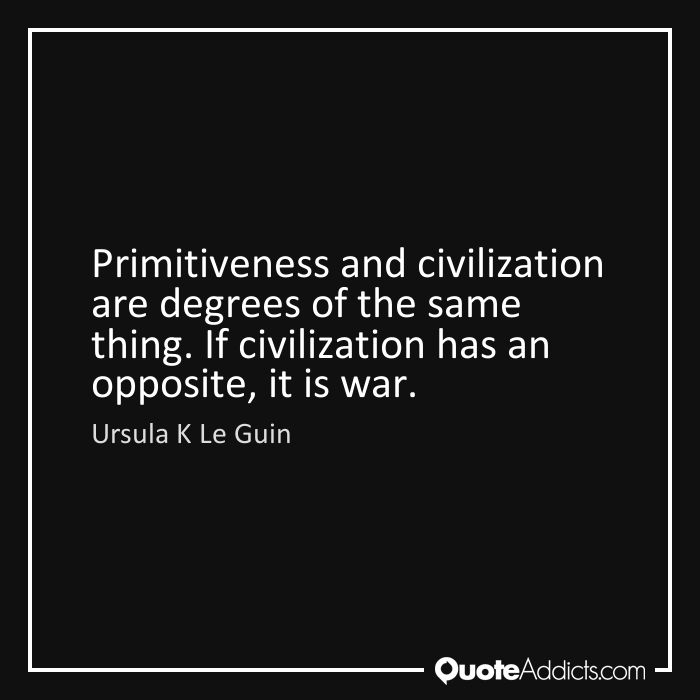 Rest in peace Ursula LeGuin. oh no! :( I love her novels! She was really a great author who left her marks on the sands of time. I admit i haven't read many of her books but with this insight you gave, i think i have to download more now. Thank you for this. May she rest in peace but her works will forever be etched in our hearts and minds. Awesome quote to wrap up a very profound and deep article. I've never heard about her before but now I'll put her on my radar for awesome reads. I loved the Earthsea chronicals. RIP Ursula. A talent that will be greatly missed by all those with overactive imaginations. That revolution quote was extremely interesting. I often wonder what the next great revolution will be in this vast world. delightful tribute... I really do need to reread some of her work, its been ages. so many of whom i consider to be the great authors of my time have passed. im wondering if they will now come out with film versions and ruin everything..
@donkeypong Your post is excellent .I have read your post.Actually a lot of things I have learn from your post.Your maximum post is more informative and educative .No doubt the author was great.Actually Every death is painful to us specially when we lost our valuable person its the lost.I pry for her.God give her best reward.Thanks for sharing this kind of great writing for us. He has done great works and also discovered where his talent were, what the society should know and how best to present the society with this gift of his. @donkeypong sir, no doubt the way tribute goes, the fantastic author kept herself alive in many minds. Making a mark and keepings the words into someone minds isa rarevfeet...whivh se did brilliantly with her graeat work. To b very frank, the quality of thepost makeme to go to read her masterwork...thanks for sharing some of the reference. I love her, she is one of the smartest women I know. I've read a couple of her books and they are amazing. 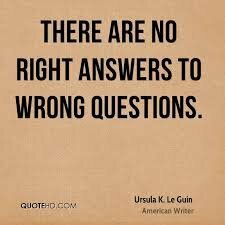 I will have to read some of her books, for this creative spirit Ursula LeGuin to have touched your soul the way you have described. I am really glad I saw this post. Thank you @donkeypong, always a pleasure! I never read any of her books yet as Ive been a fan of Dan Browns Da Vinci Code series, this is my next project to read, Everybody watched the series of The Lords Of the Rings so its no brainer that we all know its story and its fantasy. Wow I'm really sad to hear that she is dead. I am an aspiring fiction writer and a great lover of Science Fiction. I have read the Left Hand of Darkness countless times and every time it offers some new insight into the world. one of my all time favorites for sure!! <# GREAT READ~! I loved her too when I was a kid. I didn’t know that she passed this week. Thanks for sharing. 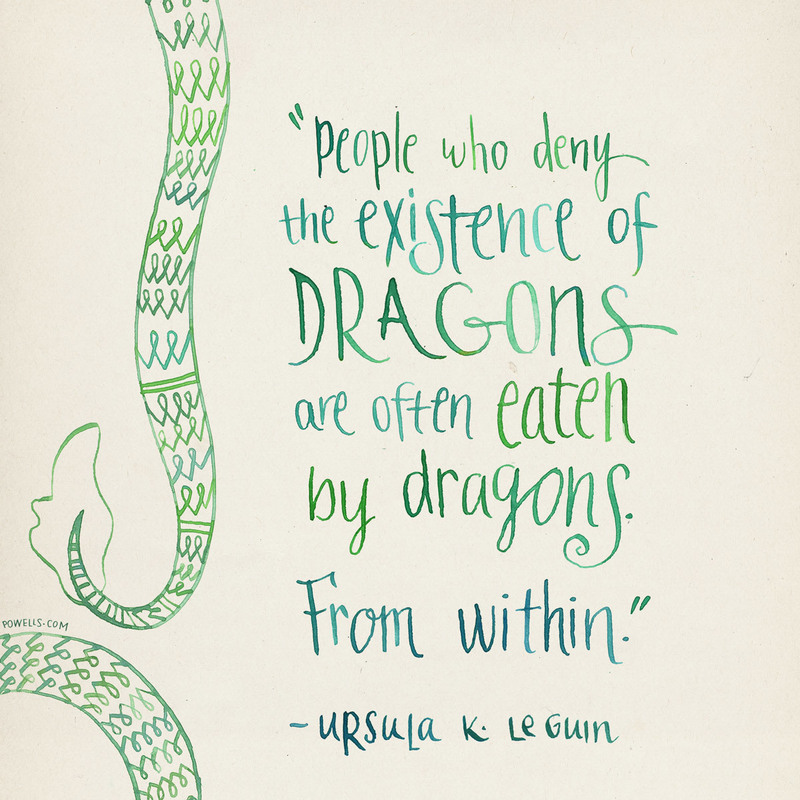 Ursula LeGuin is a great author I've ever seen. Respect to her. Also My Tribute to her. I'm big fan of Lord of the rings. Its best fictions story. @donkeypong, I'm so sadness after heard Ursula LeGuin's death. But you gave real tribute to her. I don't think no end from death. She live with us every-time with her lovely quotes. 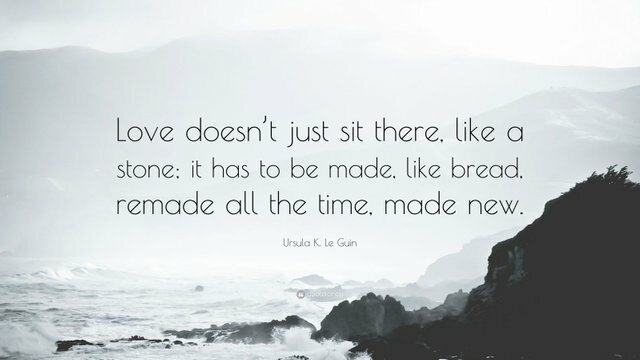 By the end of The Lathe of Heaven, Le Guin has destroyed and remade the world several times over. It's a trippy roller coaster ride worthy of big budget science fiction. But she's also dosed the reader with a strong sense of calm, a deeper understanding of humanity, an aversion to smarmy authority figures who want to bend reality to their will, and a healthy respect for the power of dreams. I finally tell that, currently big disadvantage has without her life. 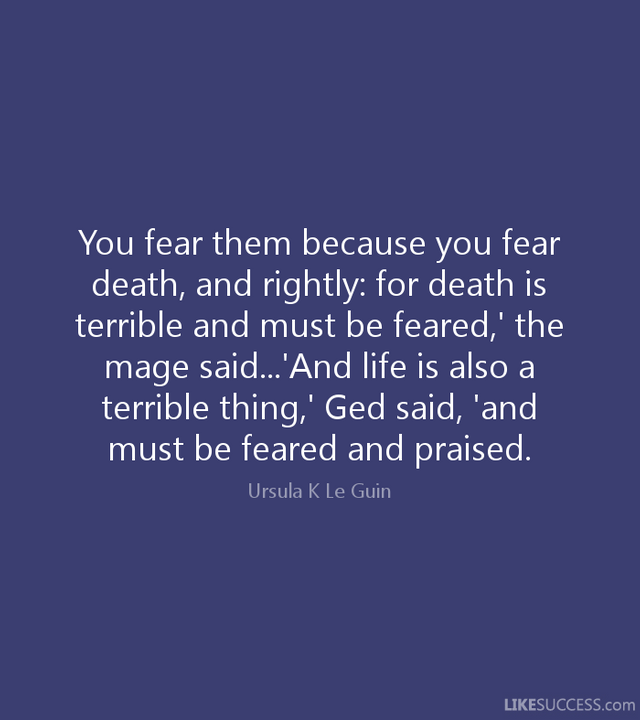 "Ursula LeGuin"- Dear madam,,,, rest in peace. My tribute to you!!!!! Simply, she is better in her area. I was shocked when I read in the news of Ursula LeGuin’s death. Not that her death is unexpected, after all, death is a debt we all owe, but her passing i realised was a big loss to the loss. May her soul find peace in the Lord's bossom. It is very interesting but have not read her book before, guess it is time to find one. Always sad when a writer passes on to the next world. I adore this writer for being creative and brilliant mind. All of her movies are blockbusters like Lord of the Rings and Narnia that I watched. Thanks @donkeypong for sharing this and letting everyone knows who she is and her contributions on her field.